All models of the 2016 Acura RDX offers the AcuraWatch suite of safety technologies as an option, so even its least expensive version can be equipped with adaptive cruise control, lane-departure warning, and other safety systems. The 2016 Acura RDX is a smooth and responsive crossover SUV; it’s easy to live with, as long as the back seat fits your passengers. Acura's entry into the luxury compact SUV category is a strong one. The 2016 Acura RDX is versatile and practical, and can be equipped with enough safety technology to place it near the head of its segment. 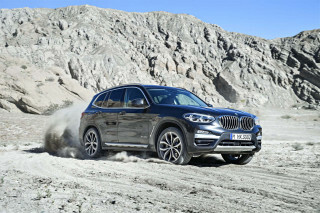 It may not have the brand cachet of some of its competitors such as the BMW X3, Mercedes-Benz GLC-Class, and Audi Q5, but it certainly has the chops to compete. It's main rival--at least in terms of fuel economy and perceived safety--may be the Volvo XC60, which is another popular pick in the category. 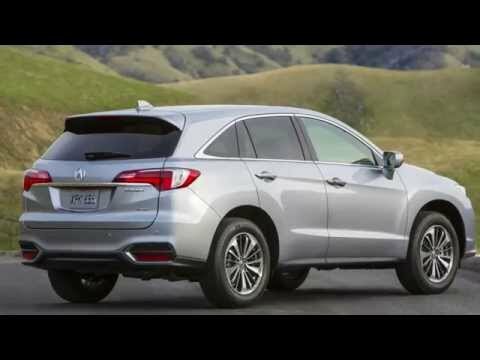 New for the 2013 model year, the Acura RDX gets an update for the 2016 model year that fits a new V-6 engine under the hood, and adds some light styling touches. The five LEDs in its headlights string together like jewelry. The front fascia has been reshaped, along with the rear, which also gets LED taillights. The emphatic, angular grille is still front and center, but it seems to fit better on this vehicle than any other Acura. It's sleek and attractive, with pronounced fenders and a clean profile. For 2016, peak power from the V-6 is up slightly, and there's more torque over a broader range, resulting in better drivability and more immediate power response. The 2016 RDX is rated at 279 horsepower (up 6 hp) and 252 pound-feet of torque (up 1). 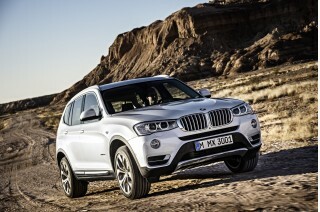 We found it to be a smooth, responsive engine that delivers strong acceleration performance. It works well in city traffic, and it's well-sorted for urban driving. Its ability to accelerate from 40 mph to 70 mph makes for comfortable passing on two-lane roads, and it's enjoyable on winding rural roads. The V-6 engine's ample torque means it doesn't need to shift as often. The car-like RDX and its small size makes it maneuverable in tight quarters and easy to park. Handling on winding roads is a balanced vehicle, making the RDX enjoyable to drive, though it isn't sporty in the German-'ute vein. The available all-wheel-drive system, dubbed 'AWD with Intelligent Control,' has been retuned for 2016 for better stability. It can send additional power to the rear wheels when it's accelerating. It helps the RDX feel a bit more like a rear-wheel-drive car, less like a front-wheel-drive car. The RDX can host a couple of adults in front, a pair of smaller adult passengers in its back seat. The cockpit is handsome, comfortable, and the controls are well-organized. Since it shares some of its structure with Honda's CR-V, it's fairly compact in footprint. That becomes obvious to tall people when they try to ride in back. The RDX's front seats are comfortable. An eight-way adjustable driver's seat and a steering wheel that tilts and telescopes allows for drivers 6 feet tall or shorter. Both our tall testers and those of average height found it comfortable enough that we didn't take much note of it, a good sign. The back seats are comfortable for two smaller passengers, crowded for three. The RDX offers 61 cubic feet of cargo space with the rear seats folded, though the rear seats do not fold perfectly flat. That's comparable to the 2016 BMW X3's 63 cubic feet. Cargo loading is easy thanks to a low load floor, and there's a well under it for storing another 15 cubic feet of stuff. Safety ratings are top-drawer with the latest RDX. The usual standard stability control and airbags are joined by a rearview camera. Priced from the low $30,000 range to nearly $40,000, the RDX has standard power features; cruise control; dual-zone climate control; keyless ignition; a seven-speaker sound system with USB/MP3 support; and Bluetooth. Navigation is an option, and it comes with voice recognition. To improve fuel economy, three of the six cylinders will deactivate under light loads and just go along for the ride, though the driver cannot tell any of this is going on. Fuel economy on the EPA combined cycle is 23 mpg, or 22 mpg with all-wheel drive. 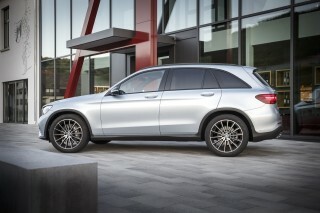 That's not quite as good as the Volvo XC60 with its turbocharged 2.0-liter engine that's rated 26 mpg combined with front-wheel drive, and the RDX requires premium gasoline, whereas the XC60 uses regular gas. 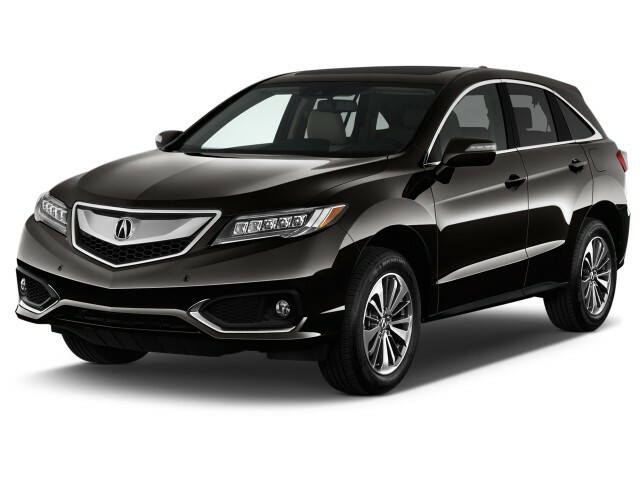 Clean lines and an understated design make the 2016 Acura RDX an attractive, yet conservative, SUV. The 2016 RDX is attractive, with a profile and overall looks that are similar to the broad swath of compact utility vehicles. The shape is smooth, punctuated by pronounced, muscular fenders. The RDX has a smart stance, thanks to its arched, low roof. The styling details of the RDX have been revised for 2016 to bring it more into line with Acura's other vehicles. 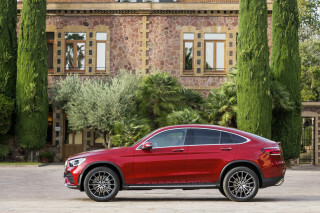 It's still a near-luxury crossover SUV, which means the basic outline and details aren't very mysterious or controversial, except maybe at the front. The front gets new LED headlights and a new grille. The front end has a beak-like appearance that's not everyone's favorite, but it's less a problem here than on Acura's other vehicles. The rear uses LEDs with light-pipe design for taillights. All RDX models get new wheels for 2016. Inside, there's a tasteful balance of function and form. The RDX's dash houses a central control pod, plus lots of soft-touch materials and matte surfaces that bring an upscale look and feel. If we could point to a flaw, it's that for the dash it relies too much on bright finishes. 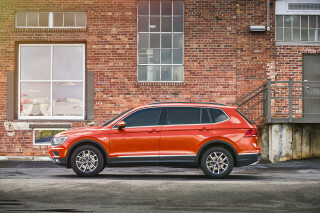 It's more mature, and there's there's none of the claustrophobic wrap-around feeling you get in some sporty crossovers--even though the driver has to stretch to reach some of the toggles and switches. The RDX isn't sporty, but is has responsive handling, feels very confident, and has a strong V-6. The 2016 RDX gets its power from a 3.5-liter V-6 rated at 279 hp and 252 lb-ft of torque. The cylinders can shut off in pairs to conserve fuel. 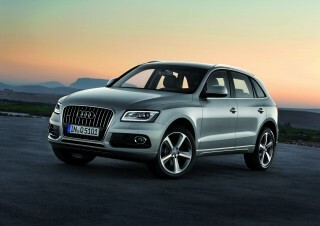 The 6-cylinder is refined and smooth, and it's responsive at just about any engine speed. Shutting down cylinders in the 2016 RDX increases its highway EPA ratings by 1 mpg, rising to 19 mpg city, 28 highway, 22 combined for all-wheel-drive models and 20/29/23 mpg for front-drive models. The cylinder deactivation can barely be detected when cruising. With its carlike footprint and suspension, the RDX has great road manners, compared to a traditional SUV. 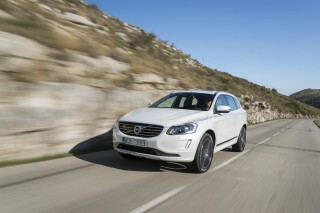 It's balanced and enjoyable on winding roads, though it's far from the sporty, direct feel of comparable German SUVs. The RDX's driveline has the ability to send power to all four wheels. When it's split, the power is sent slightly rearward, for better launch on low-traction surfaces such as ice. This year, the RDX has new engine mounts, a revised steering system and a slightly stiffer suspension. Acura says it cuts down on the vibration that passes through to the cabin--and we think it lends the car a more expensive feel. The RDX's interior feels sophisticated, and cargo space is good, though second-row room is a little snug. Acura trims the cabin with lots of black plastic and silver-painted metal, but it's well done, and the RDX has controls that are laid out logically. In front, the driver and passenger get a tall, comfortable seat. The driver's chair has 8-way power adjustments, and the steering wheel telescopes and tilts so most any driver will find a good position. In back, the accommodations get cramped when more than two passengers climb in. Medium-sized adults will fit by the pair, and taller people will collide with the headliner. Teenagers and medium-sized passengers will do just fine. By the numbers, the RDX has 38.1 inches of head room, 38.3 inches of leg room, 57.2 inches of shoulder room, and 53.8 inches of hip room in the rear seats. By comparison, Volvo says its XC60 has 38.1/36.4/55.2/53.8 inches, respectively, which is less leg room and shoulder room than what's in the RDX. Acura designed in plenty of storage inside the RDX. The console is deep, and holds a shelf near a power point, a perfect spot to charge cell phones. Ahead of the shifter, a covered bin can hold a phone plugged into the nearby USB power. The glove box has a tray to hold the owner's manual out of the way, and that tray can be removed. The rear of the center console has a small shelf for back-seat riders. Storage is also provided in the door panels. There is 26.1 cubic feet of cargo space behind the rear seats, 61.3 cubic feet with the rear seats folded, and 76.9 cubic feet including under-floor storage. That storage capacity makes it roughly the equal of the BMW X3. However, in the RDX, the rear seats don't fold down fully flat, and the RDX doesn't have the clever second-row Magic Seat found in the Honda HR-V. On the other hand, the RDX has a low cargo floor, which makes it easy to pile groceries and cargo in back. Safety scores are high for the RDX, and it's added high-tech safety options. Federal safety officials give the 2016 Acura RDX a five-star overall rating for crash safety, with five for frontal crash, five stars for side crash, and four stars for rollover. The IIHS has named the RDX a Top Safety Pick+, with 'Good' ratings for all of its crash tests. All 2016 Acura RDX models can be equipped with the AcuraWatch suite of advanced safety and driver-assist technologies. 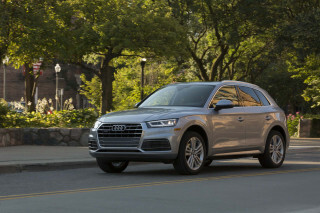 It includes adaptive cruise control; forward-collision warnings with automatic emergency braking; lane-keeping and lane-departure warning systems; and a driver-side mirror with an expanded viewing area. Like other forward-collision warning systems, the one in the 2016 RDX is good, but not perfect. It's designed to detect objects that could prove dangerous--but those objects aren't always easy to sort out in real life. The RDX offers much in the way of features, though some of the latest technology offerings are absent. The RDX is very well equipped, even before opting into Acura's comprehensive packages of add-on features. The RDX comes loaded with power features; dual-zone climate control; cruise control; keyless ignition; ambient lighting; a seven-speaker sound system with USB/MP3 support; and Bluetooth hands-free calling. 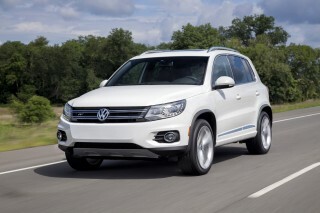 Navigation is optional, included in the Advance and Technology packages, and it comes with voice recognition. The 2016 RDX Advance Package includes special 18-inch alloy wheels; remote start; front and rear parking sensors; and ventilated front seats. The 2016 RDX Technology Package includes blind-spot monitors; HD Radio; a multi-rearview camera; and a dual-screen infotainment display. In that setup, the top screen is a big, bright display dedicated to navigation with beautiful, uncluttered maps that are easy to read while driving. The audio system is intuitive, and very easy to control underway with the large display screen below the navigation. It has a real button for volume and for switching the system on and off, a vastly superior setup to the sliders and on-screen controls found on some Honda models. The RDX turned in its turbo-4 for a V-6 engine, and since then fuel economy hasn't been its prime directive. The Acura RDX only comes with one engine: a 3.5-liter V-6. It gets good fuel economy for a V-6, but some of the smaller engines from other automakers are more efficient. The front-drive 2016 Acura RDX is rated at 20 mpg city, 29 highway, 23 combined, according to the EPA. With all-wheel drive, it's rated at 19/28/22 mpg. The 2016 Volvo XC60 beats that with 23/31/26 mpg with front-wheel drive, while the BMW X3 sDrive 28i is rated 21/28/24 mpg, beating the RDX by 1 mpg. This is our 7th Acura since 1987! I think that says it all! Looking for a different year of the Acura RDX?